A wooden floor adds much warmth and atmosphere to your interior. 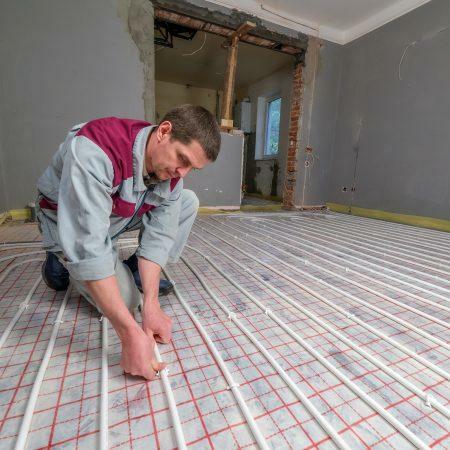 Underfloor heating makes living comfort even greater. We are often asked by customers if parquet floor can actually be laid on underfloor heating. The answer is clear: YES! We recommend against choosing a solid parquet floor if you want to combine a wooden floor with underfloor heating. 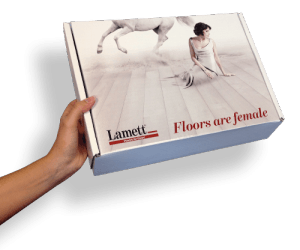 Instead we advise engineered or multi-layered parquet floor. This is more stable than solid wood. It will shrink, expand or warp much less with changes in temperature or air humidity. Engineered parquet consists of a number of layers of wood laid square to each other. With some types the bottom layers consist of coniferous wood, with others this is board material such as plywood or compressed wood fibre (HDF). The top layer is solid oak. This provides a very stable parquet floor with the beauty of authentic wooden planks. A wooden floor and underfloor heating is an ideal combination. You must however take account of a number of conditions. Download our ebook for the do’s and don’ts for parquet on underfloor heating.